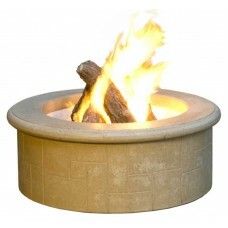 Made from durable glass fiber reinforced concrete (GFRC), these artistically designed fire pits add style and design to any outdoor setting; available in a variety of finishes and as a blank slate (Contractor’s Model Fire Pit Only) to allow you to customize and design it your way by adding your own stone, tile or other veneer. 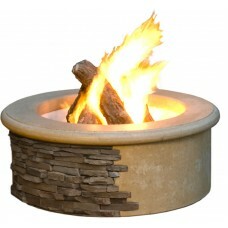 The Contractor's Model comes as a blank slate for you to customize and design your way by adding you.. 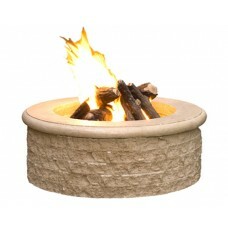 The Chiseled Firepit has a chiseled concrete exterior and smooth rim around the top. This artis..